This Wednesday, Sept. 9, my parents will have been married 61 years. Woo!! Last year, we took them out for dinner. It’ll be fairly quiet this year. We have other plans on the go. My parents will be moving out of their house, the same one they’ve been in since the 50s, to move to a retirement home not far from where I live in Toronto. They still live in the first house my father bought, when he came to Canada. (He came on his own for a few years, worked in Montreal and Sept Ilses, bought a home in the Niagara region, and called his wife and son to join him.) Since my dad has dementia, and a host of medical problems, we’re all started to get worried about the amount of stress on my mother. Since she can’t handle the house, garden, frequent trips to doctors and winter(!) on her own, they can no longer stay in the house. And since they have to move anyway, it makes perfect sense to move to Toronto to be closer to myself and my brother. I find I’m both excited by them moving closer, and worried about the upheaval (particularly the effect it will have on my dad). The move is scheduled for early October. And, if all goes well, it looks like they’ve just sold their house, too! What a small world. I meet your parents in Acapulco when I was there with my parents on vacation years ago. 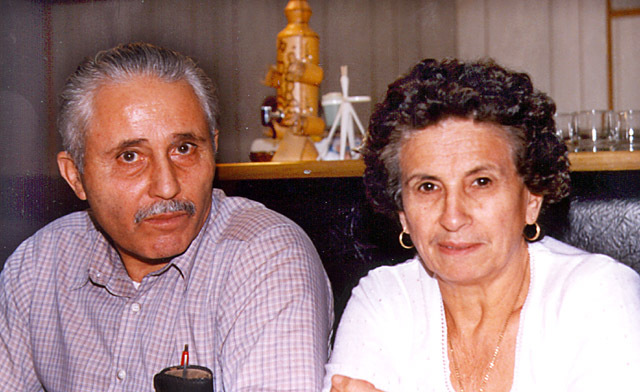 My parents are Domenico and Maria DiPardo. Love your site and all the photos. Not sure how to email you but if you could email me or send an email to Domenica Perrella my mom’s cousin in Australia (she commented on one of your other pages) I am sure my mom would love to get in touch with her since she hasnt been able to track her australia cousins down in years.